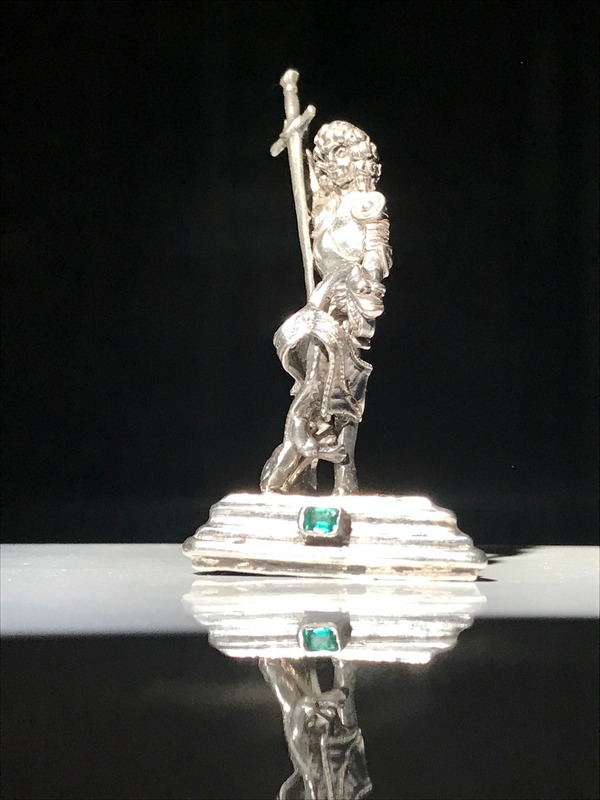 A continental silver (.900) and emerald figure of St. George slaying the dragon. 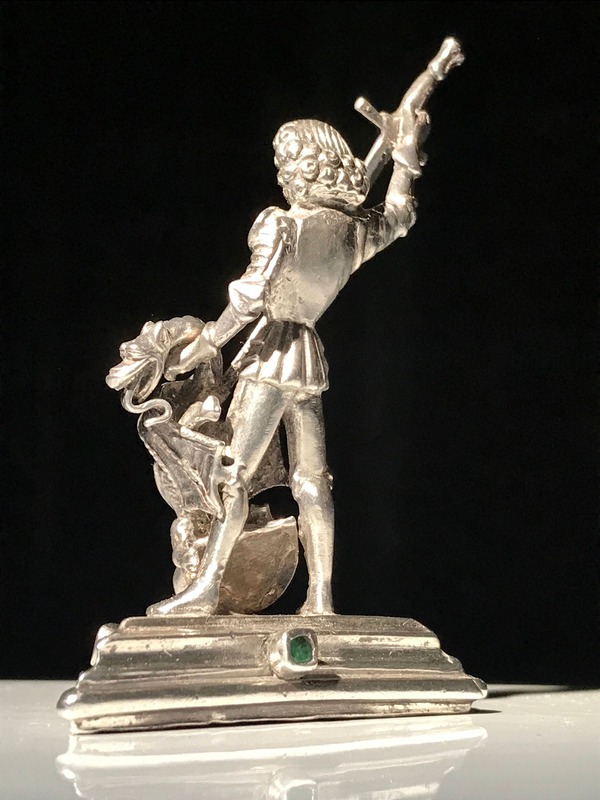 This antique statue is cast into the likeness of St. George and is very likely European in origin (Germany). St. George is portrayed here with an 18th century hair style which may be indicative of the age of the piece. 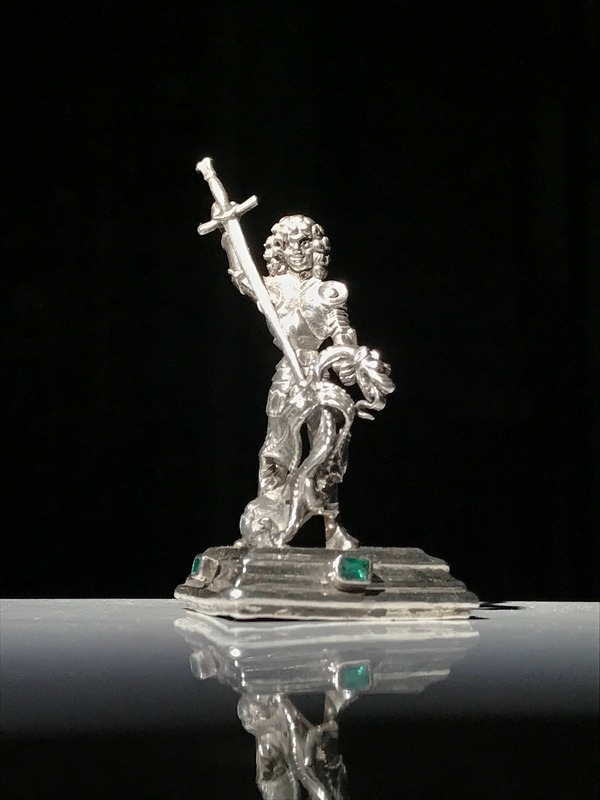 The figurine is set with step cut emeralds (minor chips) ranging in approximate size from 2.6 mm x 3.75mm to 2mm x 2.25mm. Weight is: 54.3 grams. Condition is commensurate to age and wear as shown. 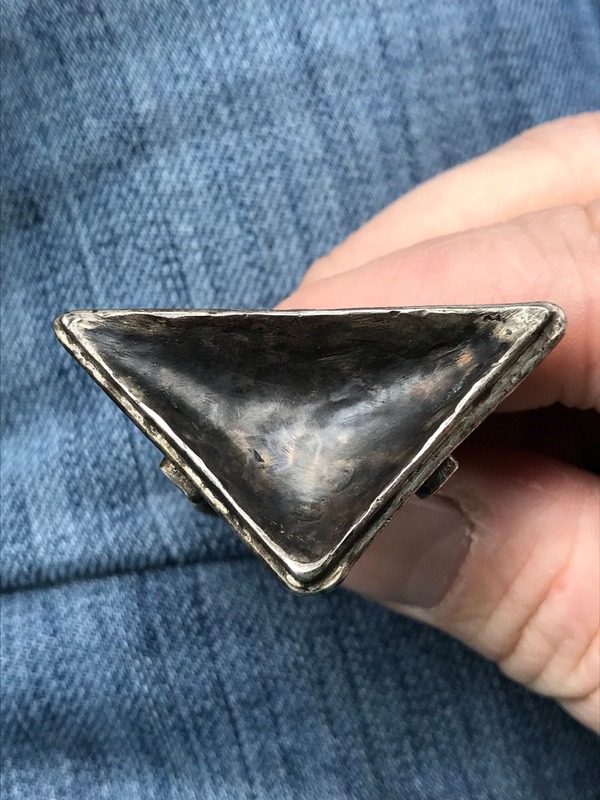 Unmarked, but stones and silver have been tested by a third party expert. I've left the bottom unpolished so that the level of patina and age can be judged. 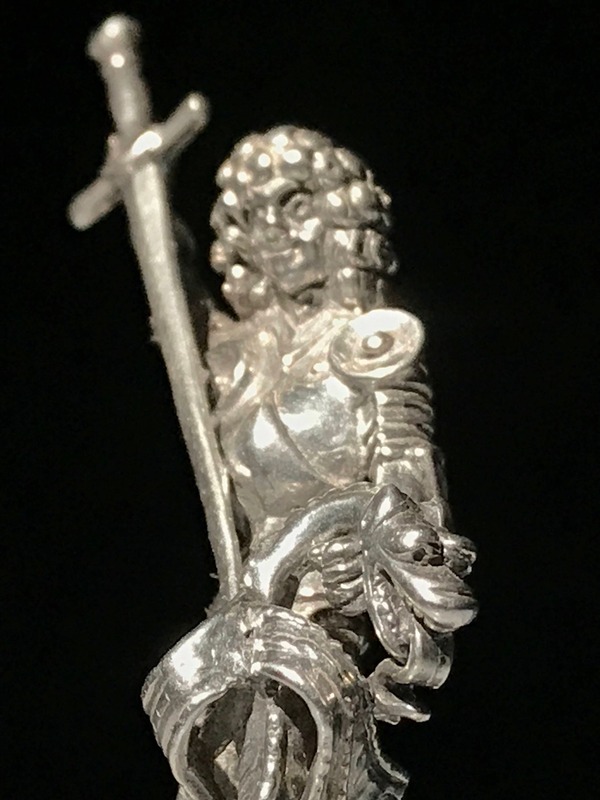 Let me know and I can polish this before shipping.